This fox in our garden this morning was lazily lying down, occasionally sleepily moving around and even yawning. Always wary, possibly aware of the human near the kitchen window, he kept a beady eye on the house. Even so, he lay for some time with his eyes near-closed, soaking up the June sunshine. Here are some photos of the visitor. You’ll see he is far from the manky scavenger that is the usual urban fox. He is well-groomed and with a good coat. These photos were taken through glass – I didn’t want to risk disturbing the fox by opening a window for a clearer shot. 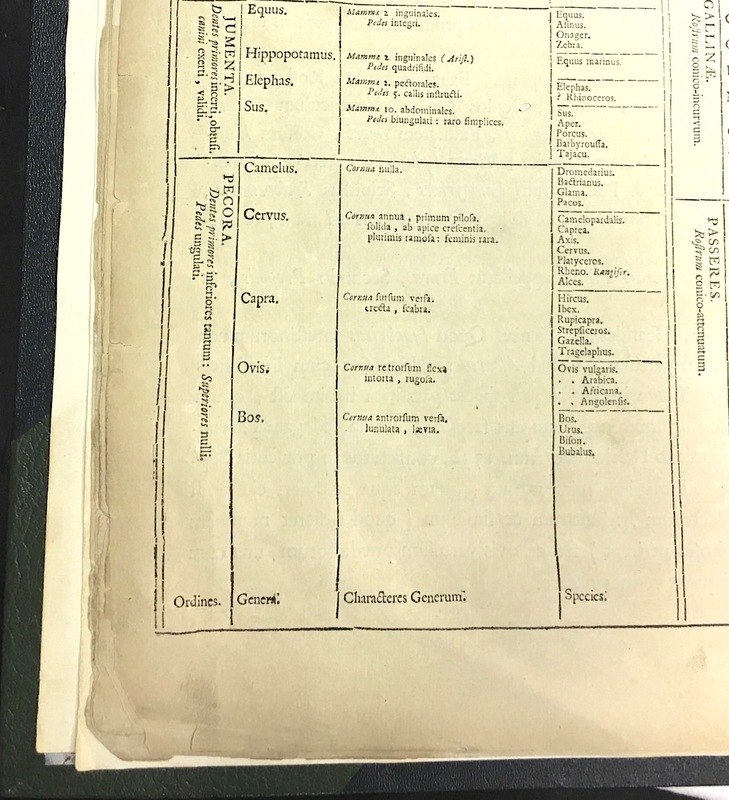 Linnaeus first had to define the broad categories in order to organise them into their component parts. He chose regnum animale, regnum vegetabile and regnum lapideum – the animal, vegetable (plant) and mineral kingdoms. 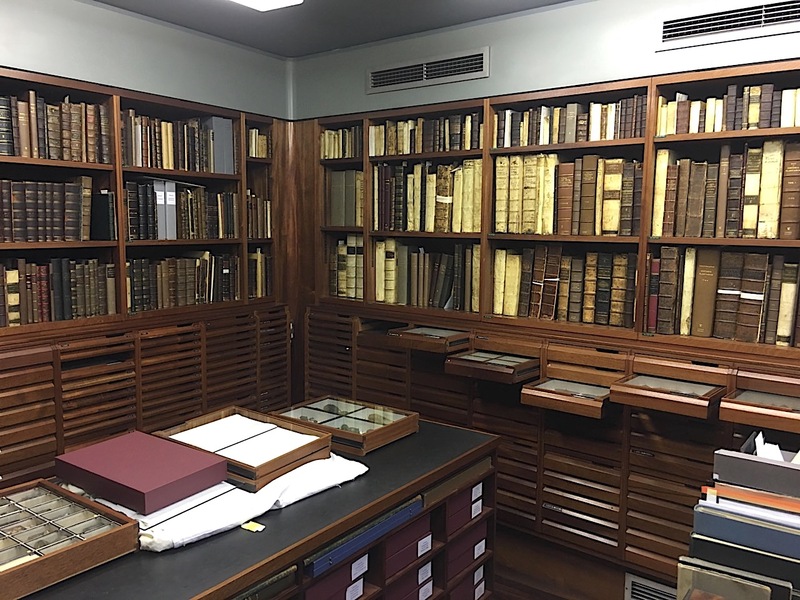 Here are some examples, photographed in the climate-controlled ‘treasures room’ at the Linnean Society, London during a viewing with the Librarian. 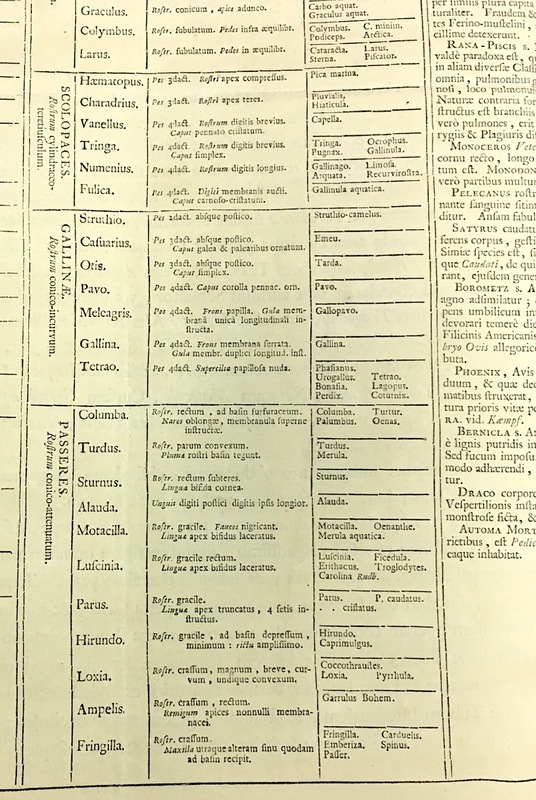 The first column of the first substantive page of the first edition of Systema Naturae (1735). This is the start of it all – the ‘man-like’ creatures Man [classed as a quadruped], apes and… 3-toed sloths (Bradypus), later to be moved to a more comfortable place. After that come creatures large and small, wild and domesticated, including lions, bears, cats, weasels, and moles. Canis included not only the dog, wolf, and fox but also… the squillachi. The last one is a mystery – a quick online search reveals only a footballer of that name. 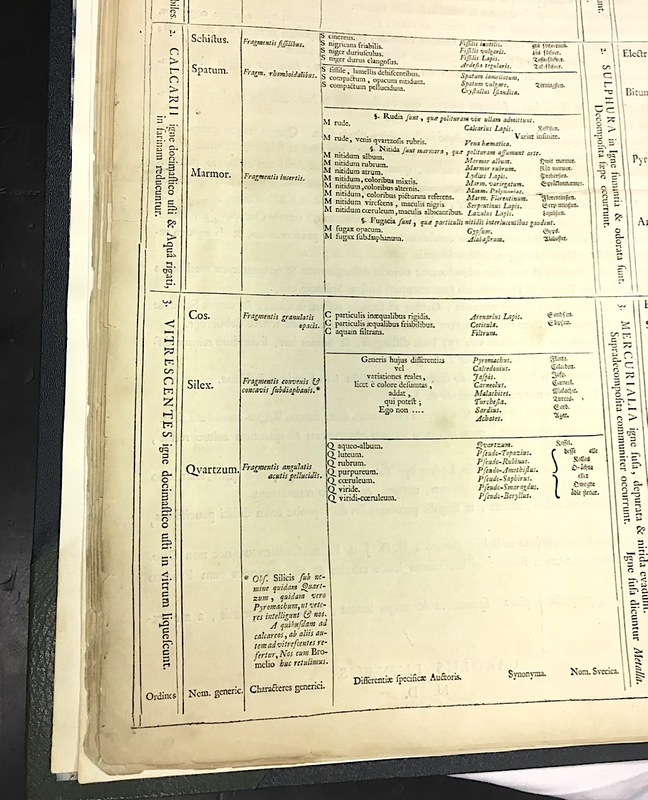 At the bottom of the first column, horses, hippos, elephants and varieties of pig are classified together; followed by varieties of camel, deer, goat, sheep and cattle. 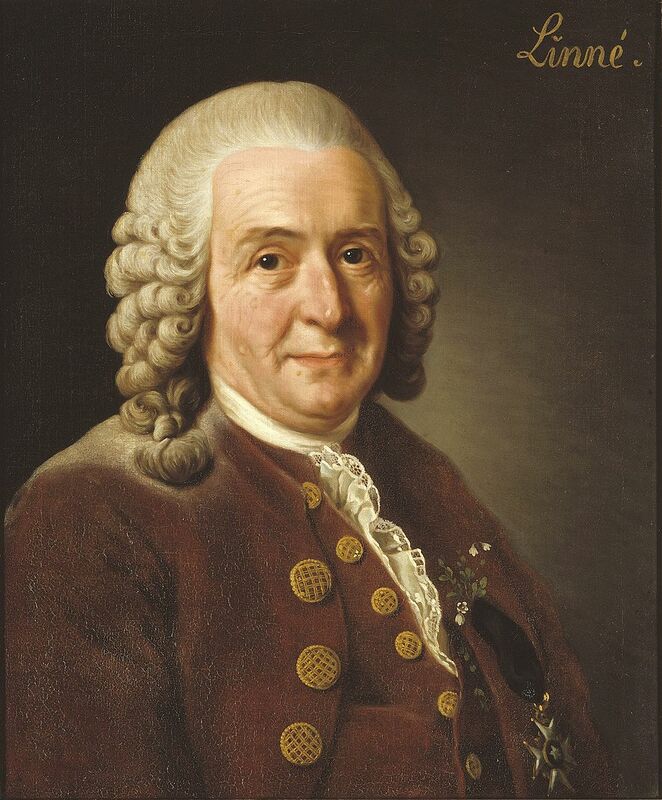 Linnaeus’s achievements in ‘organising’ were twofold. First, he grouped creatures, plants and minerals into similar species, using his prodigious knowledge to arrange the groups into defined hierarchies (and as it was to turn out, not invariably correctly). Secondly, he adapted and refined an existing but somewhat random scheme into his structured binomial system, attaching two names to each creature, plant or mineral. 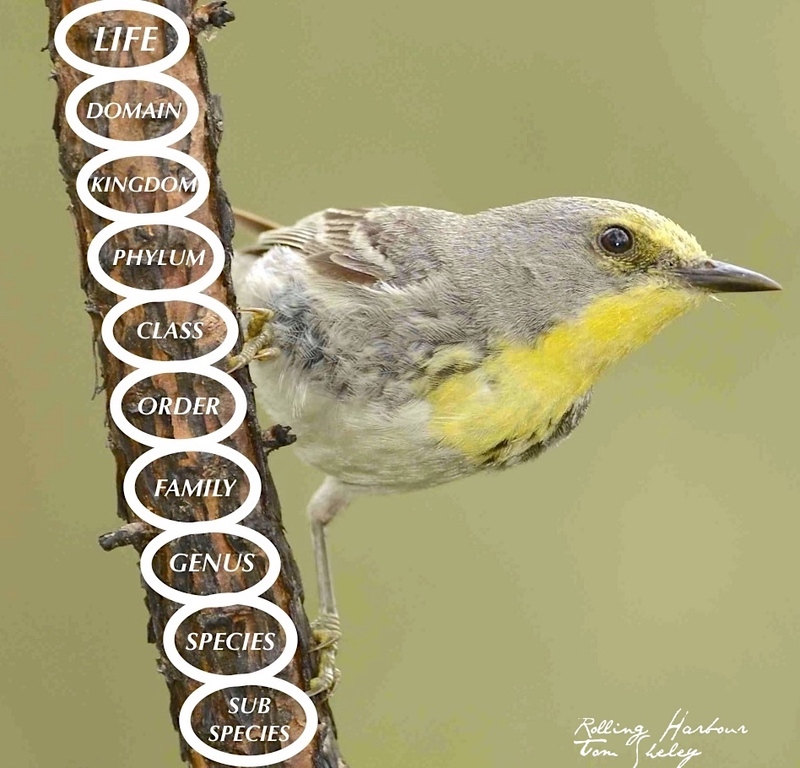 The first name was a general categorisation (‘genera’); the second was more specific (‘species’). Consistency was achieved for the first time. 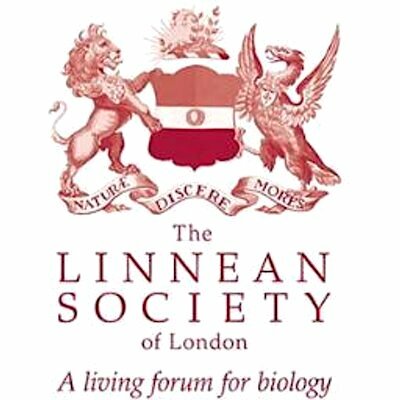 Linnaeus was indeed the ‘father of taxonomy’ as we still know it today. He probably called himself that as well. Here are some of the birds – grackles, doves, gulls and so on down the list. 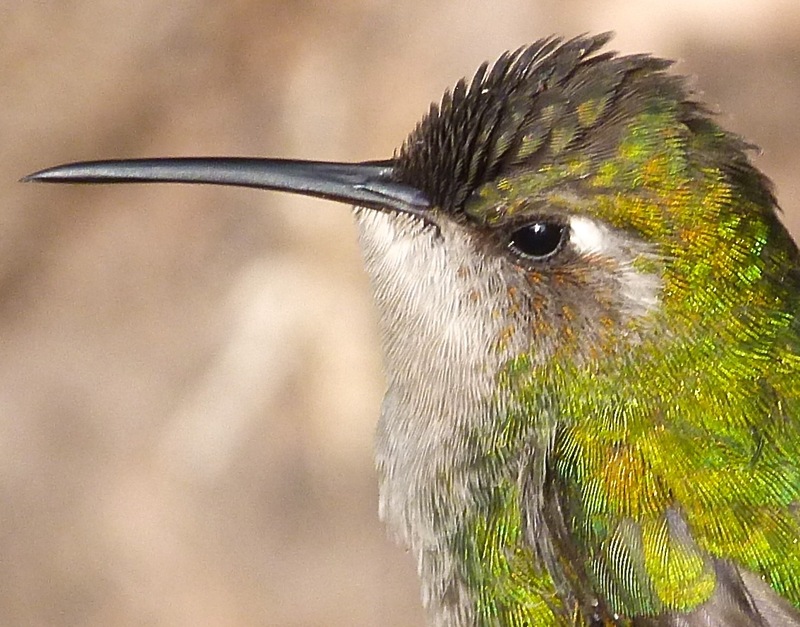 The latin names will be very familiar to birders, since they are still used today. The birds are followed by columns for amphibians, fishes, insects and sea creatures such as jellyfish, conchs and urchins. Entries in the minerals section, with schist, marble and quartz perhaps the most easily identifiable. The title page of the first edition of Systema Naturae (1735). This was the first page we were shown, after the book had been laid reverently on a special cushion by the Librarian. I have to admit to a jolt of excitement, both then and indeed several times more during our visit. 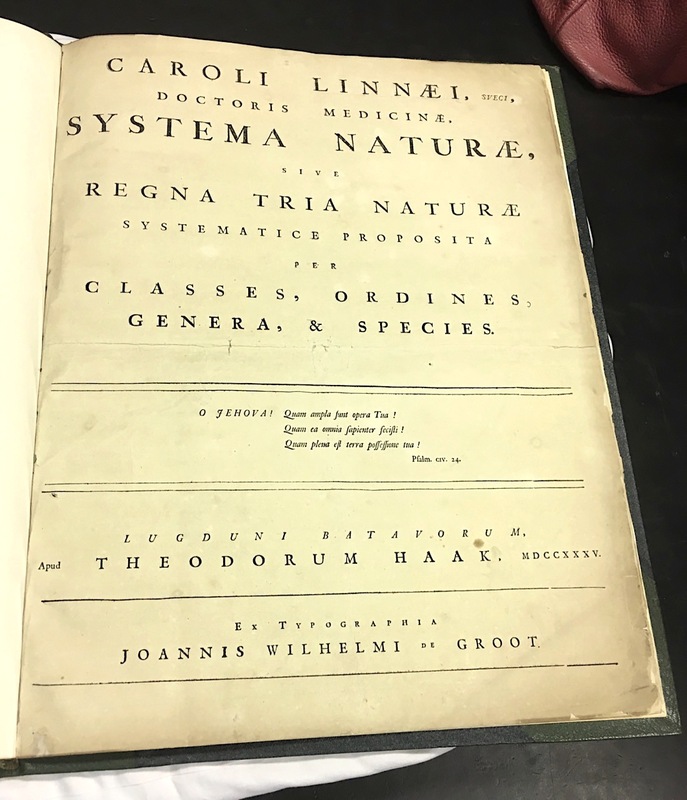 Published in 1735 when Linnaeus was a mere 28, Systema Naturae was both revolutionary and evolutionary.The full title of the work spelled out the breadth of the enterprise: “System of nature through the three kingdoms of nature, according to classes, orders, genera and species, with characters, differences, synonyms, places”. At least 12 further editions were published during his lifetime. Each was expanded as more scientific data was gathered; from 11 pages in the 1st edition to more than 2000 in the 12th, published about 30 years later. Corrections were also made. For example, the initial assignment of whales to fishes, based on knowledge at the time, was later corrected to include them with mammals. The extraordinary manuscript, specimen and library collection of Linnaeus is preserved in this wonderful treasure store. I took this photograph at the end of the viewing. By this stage we had examined a selection of the sample cases – note the open drawers and cases on the table. Also, note the special cushion for the precious manuscripts. All photographs © Keith Salvesen; portrait and facsimile scan of Paradoxa, O/S; Olive-capped Warbler (as annotated by me), Tom Sheley; magpie pickings from a wide variety of sources inc. Linnean Society, Smithsonian, Encyclopaedia Britannica online – and not excl. Wiki! Until a few days ago, I’m not sure I’d ever before seen a pale tussock moth Calliteara pudibunda that was on a wall inside our house. I took it outside and put it gently onto an old garden bench. 10 minutes later it was gone. As is so often the case I only had an iPhone with me at the time, so the photo above is a bit rough and ready. On the other hand, you get a good idea of the subtle and pretty colouring and marking of this moth – and as you see, it was intriguingly furry, with spotted legs. I flicked through a couple of slightly basic butterfly / moth books we have, but could find nothing like this creature. So I checked out the FB page of UK MOTHS to find a match. Sure enough, others had queried the ID of this species so I discovered the name easily enough. I don’t think it is particularly rare. There were also plenty of other fascinating and indeed extraordinary-looking moths that are apparently quite common in the UK. A FB page that’s well worth taking a look at. The pale tussock is a moth of spring / early summer, and its appearance seems to be distinctive enough to avoid confusion with other moth species. The other feature, only deployed once I’d got it outside the house, are its feathery antennae (below). Gonville and Caius College is one of the oldest colleges of Cambridge University. It was founded in 1348 by Edmund Gonville, who has suffered the cruel fate of rarely being mentioned nowadays; the college is almost invariably referred to simply as ‘Caius’, after John Caius, the man who re-founded the college in 1557 at a time when it had fallen on hard times. The college has 3 fine gates that represent the stages of academic life: matriculation, with entrance through the Gate of Humility; undergraduate life, with regular passage through the Gate of Virtue during a student’s career; and finally graduation,with students passing through the Gate of Honour to the Senate House to receive their degrees. The handsome modern sundial was installed in 1963 as part of the 400th anniversary celebration of the college’s re-foundation by Caius. There are in fact 6 vertical sundials, arranged in 3 pairs placed round the hexagonal tower. They were designed by an astronomer and fellow Dr Message, and the Junior Bursar Dr Powell. The bronze dial faces are painted with vitreous enamel. Of the original set of sundials dating from 1557, only traces remained. ** The principal sundial of my own college is dignified but… somewhat undistinguished in comparison! Chinese New Year was celebrated at Chiswick House with a spectacular display of large and colourful inflatable animals from around the world. The same display had previously been used at Longleat. We watched them being installed; and once the event had been opened, it was the perfect place to take children as night fell.